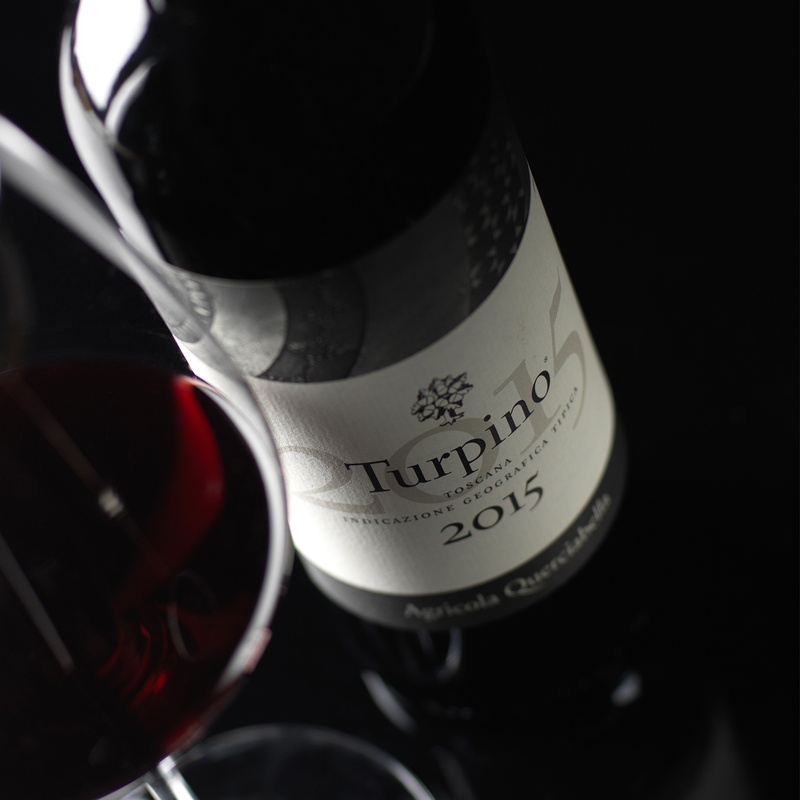 Turpino is a silky blend of Cabernet Franc, Syrah and Merlot from the Maremma coast. With whispers from the hills of Greve adding elegance to the bottle, it is spicy and balsamic; redolent of pencil shavings and sea breezes. A serious supertuscan with a baritone voice. 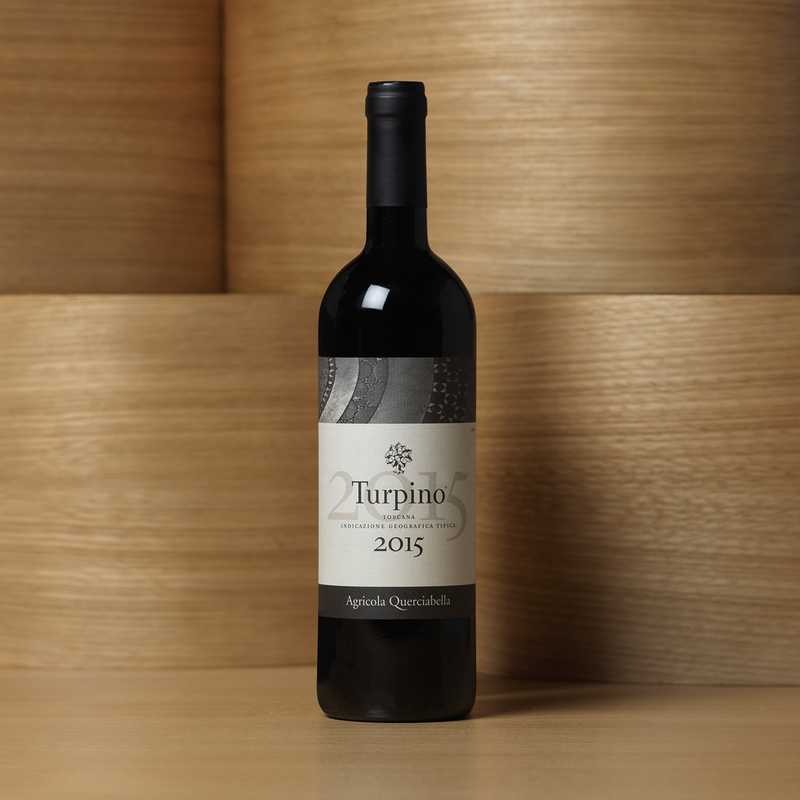 Turpino is a ‘mosaic’ of Cabernet Franc, Syrah and Merlot that marries a small number of grapes from Chianti Classico with a majority of the finest grapes grown by Querciabella in Maremma. Approximately 50% of the grapes originate from Querciabella’s Maremma vineyards (biodynamic since inception); the remainder is grown in Greve (organic since 1988; biodynamic since 2000) where micro-vinification of all grape production takes place. After gentle de-stemming, the grapes are transferred into three and five-ton oak fermenters, where they undergo a brief period of cold maceration in preparation for a slow and natural fermentation process – which is prompted by the presence of ambient (indigenous) yeast – under carefully monitored, temperature-controlled conditions. Average alcohol content: 14.0% vol. 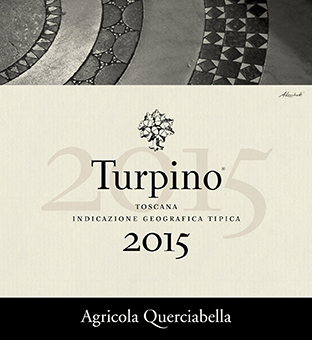 A mosaic of the best grapes at Querciabella—Turpino is largely created from the vineyards of Maremma, and enhanced by a small percentage of grapes from the Ruffoli hills in Greve. Pair Turpino’s light ruby colour with intense flavours, and finish with the making of great memories. 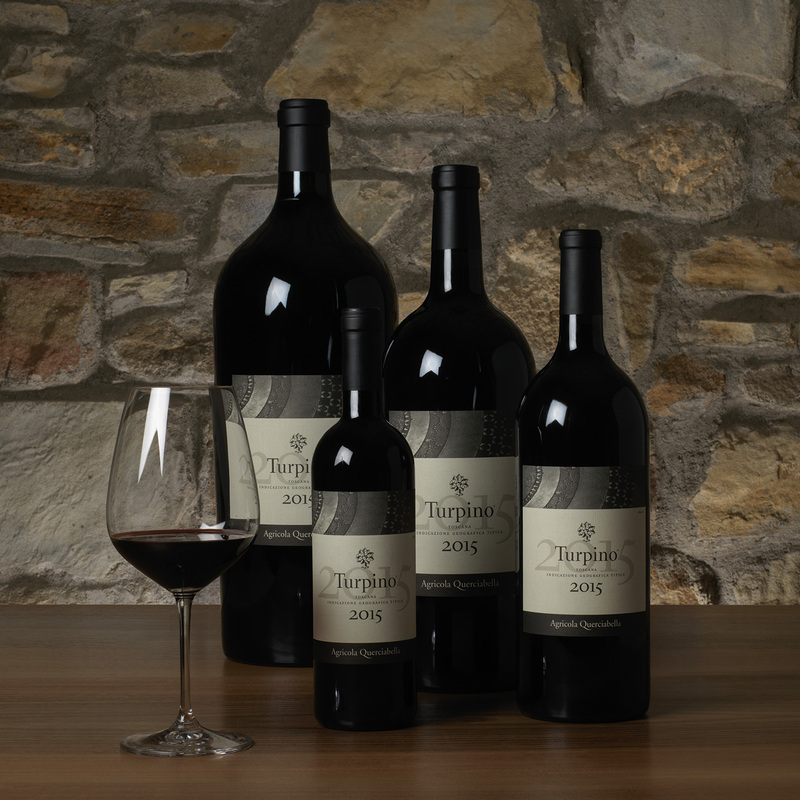 The name Turpino – like Palafreno and Mongrana which precede this wine in the Querciabella range – pays homage to Orlando Furioso, a 16th century Italian epic poem by Ludovico Ariosto. The background image highlights the detail of medieval Cosmatesque floors (12th–13th centuries) in Santa Maria in Trastevere, Rome. Photo by Alessandra Rocchetti. Organic Authority ranks Batàr 2013, Mongrana 2013, Chianti Classico 2013 and Turpino 2011 among the top organic wines to try in 2017. Batàr 2013, Mongrana 2012, Chianti Classico 2013 and Turpino 2010 among “fantastic organic wines to pair with late summer dinners or sunny picnics”, according to Organic Authority.